Even as a child, Davy Crockett 'always delighted to be in the very thickest of danger.' 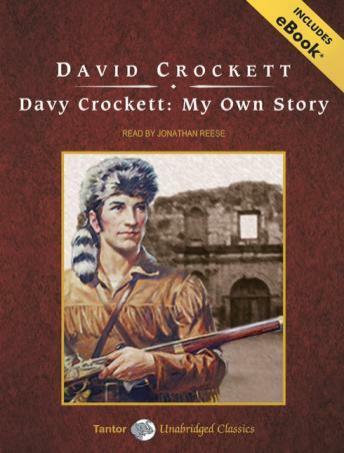 Better known to us as 'King of the Wild Frontier,' Davy Crockett was not only a frontiersman but also a politician who became a celebrity and a folk hero during his lifetime. Here, in his own inimitable style, he describes his earliest days in Tennessee, his two marriages, his career as an Indian fighter, his bear hunts, and his electioneering. His reputation as a 'b'ar' hunter sent him to Congress with an eye on the White House; but at the Alamo, he would cap off a legend that still holds Americans in its spell.